There is a book out there called 1001 Movies to See Before You Die. Every film I watch and review that is in the book will be tagged in this category. How long will it take me to get to 1001? If someone were to ask me what the most bizarre Oscar Best Picture Winner I had seen was, I would not hesitate before telling them it was American Beauty. In fact, if someone asked me what the most bizarre film I had ever seen was I would hesitate but American Beauty would be one of my top answers. A film that explores sexuality, insecurity, family, adultery, beauty and much more, American Beauty is a unique film that I still am having trouble wrapping my head around. The story looks at two families, what I call the main character family, the Burnhams, and the supporting character family, the Fitts. Lestor Burnham (Kevin Spacey) is having his midlife crisis. Lestor lives with his wife, Carolyn (Annette Bening), who is materialistic and does not respect him and his daughter Jane (Thora Birch) who has very low self esteem. Becoming infatuated with Jane’s cheer-leading friend Angela Hayes (Mena Suvari), Lester begins to have sexual fantasies about her, each fantasy having the common theme of rose petals. Lester quits his job, blackmailing his boss for sixty thousand dollars, buys his dream car, starts smoking pot and gets a job at a fast food restaurant. Meanwhile Carolyn begins an affair with business rival Buddy Kane (Peter Gallagher) and Jane starts up a relationship with new neighbor Ricky Fitts (Wes Bently). After having to leave military school to spent time in a mental hospital, Ricky moved next to the Burnhams with his introverted mother (Allison Janney) and his father, Colonel Frank Fitts (Chris Cooper). 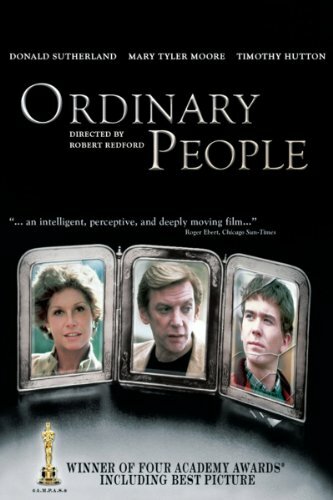 Living under the strict watch of his father, Ricky attends high school and somehow manages to sell pot, one of his clients being Lester Burnham. In too much mental turmoil to act properly, we find that Frank does love his son but is unable to express it. Ricky is obsessed with the world, filming everything possible with a hand held camcorder. Ricky finds beauty in the oddest places like a dead animal or a bag dancing in the wind. Originally written by Alan Ball as a play and then adapted to the big screen, American Beauty marks the debut of Sam Mendes’ film directing career. The two made a great duo, easily making the directing and the writing play off one another and they make an even better trio with cinematographer Conrad Hall. 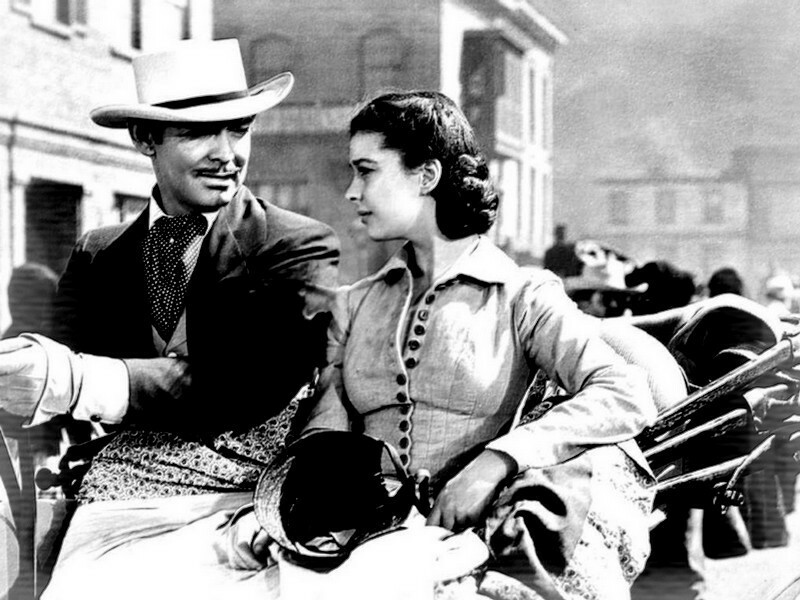 Ball’s script was filled with onscreen tension and turbulence, containing with conflicting characters and ideas. Mendes complimented the script by creating tension using slow pans and zooms. While the directing and the script went hand in hand to create tension, Hall uses simple, peaceful shot compositions that do not seem to quite fit with the theme of the film. This contrast gives the audience an uneasy feeling, as if the film, much like all of its characters, is spinning out of control. Up against a number of fantastic films, American Beauty beat the Cider House Rules, the Insider, the Green Mile and the Sixth Sense for Best Picture. While at first I was convinced I did not like American Beauty, throughout the course of writing this review I realized how fantastic a film it actually is. The film was not made to necessarily be easy to watch but some true cinematic skill went into making it. Sam Mendes won Best Director for his work and Kevin Spacey took home the Oscar for Best Actor. Conrad Hall won for Best Cinematography and to round out trio I mentioned before, Alan Ball won for Best Original Screenplay. This film certainly isn’t for everybody and it is not a happy film but the skill that went into creating it makes this an B+ film. If you want a film that will thinking and analyzing for days, give this one a shot. 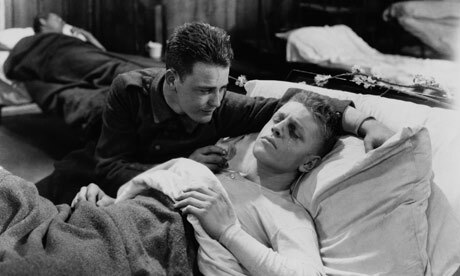 Perhaps one of the most well done war films of all time, All Quiet on the Western Front is a stunning film. An all encompassing film about World War One, All Quiet on the Western Front has been preserved by the United States Library of Congress’ National Film Registry and seen as “historically, culturally and aesthetically significant.” While all this information praises the great film I think even more talking is my opinion of it. I believe my opinion is important not because I have a big head but because I generally dislike war films but I thought this film was fantastic. All Quiet on the Western Front follows a group of young men that enlist in the German Army during World War I. The film goes through all aspects of war, beginning with basic training where they meet the strict training officer Himmelstoss (John Wray). After training the group is sent out into the field. Paired with a platoon of veteran soldiers, the young group finds a mentor named Katczinsky who helps them find food and learn how to take cover. Despite Katczinsky’s help, the group loses a man during night patrol and their numbers continue to dwindle as they delve further and further into the war. We watch as the fresh recruits become veterans as they fight their way through battles and are forced to deal with losing their friends and comrades. This film manages to analyze more aspects of war than most war films have time for. Hunger, living conditions, the battles, dealing with loss, insanity, war hospital’s and returning from the war are all covered. For most of the film the soldiers are desperate for food, not eating for days on end. When they do get food they only get a small amount and they must battle away the rats if they have any extra food to store. There is a lot of death in this film and the men deal with it differently. Some men cannot handle the constant death and pressure and start to lose their minds. Others have trouble accepting the death, risking their lives to bring back corpses or carrying a dead body to the medics, not able to accept it as dead. If you haven’t seen the end of this film you may want to skip ahead to the next paragraph. The end of the film is an example of cinematic genius. During the devastating end of the film, in which one of the only living characters is killed after going back to the front lines, each character that has passed during the film is honored. The scene begins with a crane shot of a graveyard filled with white crosses. Juxtaposed over the graveyard is a shot of the main characters marching with their backs to the camera. As they pass the camera, each man looks over his shoulder directly into the camera. Juxtaposed over the graveyard, giving the walking men an almost ghostly effect, this was an outstanding ending honoring all the men we had lost during the film. Again, All Quiet on the Western Front taught me not to judge a film based on the year it was made. I did not have much faith in a war film made in 1930 but it ended up being the best war film I have ever seen. The film was nominated for Best Cinematography and Best Writing. Director Lewis Milestone took home the Oscar for Best Director and the film beat The Big House, Disraeli, the Divorcee and The Love Parade for Best Picture. This film is an example of cinematic brilliance. I give this an A+, a film that everybody should see at some point in their lives. There is honestly only one thing that drew my attention to the film Smoke: Harvey Keitel. My obsession with Harvey Keitel is a side effect of my much larger obsession with Quentin Tarentino and a much appreciated side effect at that. While flipping through the possible films I could watch my eyes managed to find Keitel’s face on the poster for Smoke and this week’s Netflix film was decided. The film Smoke is the story of a group of characters that have one thing in common, they all have something to do with Auggie Wren’s smoke shop. As these characters meet and interact they begin to find connections between themselves and their lives. •	Auggie Wren (Harvey Keitel)- Auggie is a wholly interesting man. Owning a smoke shop, Auggie has spent years trying to save up enough money to be comfortable. With some money in hand Auggie risks everything when investing in an expensive shipment of Cuban cigars. Augie also takes a picture of the exact same spot at the exact same time every day. •	Ruby McNutt (Stockard Channing)- A woman from Auggie’s past who has obviously played him before. Showing up because she needs help with her daughter who has gone astray, Ruby begs Auggie for help. •	Paul Benjamin (William Hurt)- Paul is an author who lost his wife. Stuck with writer’s block, Paul seems to be stuck in life until he meets a young man whom he can help. •	Thomas ‘Rashid’ Cole (Harold Perrineau)- A young man who has run away from home after getting in trouble with a bad thug. A twist of fate leads Paul and Thomas to meet. Paul gives Thomas a place to stay and helps him get a job at Auggie’s smoke shop. As Paul and Thomas start to become friends, it becomes clear that Rashid is not as innocent as he seems in his involvement with the thug. He is also doing more than just hiding, he is looking for his father. •	Cyrus Cole (Forrest Whitaker)- a man with a wife and child, Cyrus had a rough past and has made a point to try and turn his life around. Owning a garage, Cyrus is forced to return to his past when Rashid comes to visit. This was an odd film. I have always liked films that take a number of different characters and stories and weave them together but the acting in this film had its ups and downs. Some scenes were absolutely outstanding while some left me wanting more effort and emotion. The story was good with a number of different twists but the writing was also lacking in some scenes. When it comes down to it this was a well done film but I’m not going to rave about it. I give this a C+. It was worth watching but nothing you have to look up right now. There are some films that are plot driven, there are some films that are character driven and there are some films that are location driven. Every once in a while there is a film that is driven by all three of those elements. Gladiator is one such film. 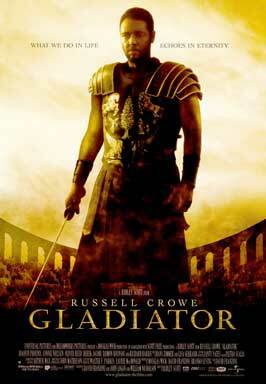 The 2000 Oscar Best Picture Winner, Gladiator is violent but if you can deal with the violence it is an extremely well done film. The film opens with a battle that pits Rome against the Germanic Tribes at Vindobona. The Roman Army, led by General Maximus Deamus Meridias (Russell Crowe), earns a decisive victory and ends a long Roman War and conquest. A brilliant general, Maximus earns the favor of Emperor Marcus Aurelius (Richard Harris). Though the Emperor already has an heir, Commodus (Joaquin Phoenix), he does not believe that Commodus is right to rule and the dying man wishes to give power to Maximus in the hopes that he will return power to the Roman Senate. Already bitter that his father favors Maximus over him, the news sends Commodus into a fit of rage and he kills his father before he can tell anybody but Maximus his true wishes. As Commodus takes the throne, Maximus realizes the truth about the Emperor’s death but Commodus sentences Maximus and his family to death. Betrayed by his friend General Quintus (Tomas Arana), Maximus is unable to tell anybody the truth before he is taken away to be killed. Maximus manages to escape but his wife (Giannina Facio) and son (Giorgio Cantarini) are killed before Maximus can save them. Passing out from exhaustion after burying them, Maximus is picked up by slave traders, bought by Proximo (Oliver Reed) and forced to fight for his life as a gladiator. With nothing to lose, Maximus is a fierce gladiator that slowly wins over the crowd so that Proximo and his gladiators are invited to fight at the Roman Colosseum. Proximo’s gladiators are pitted against a chariot and archer force and though they are expected to die Maximus enlists the help of two gladiators he has befriended, Juba (Djimon Hounsou) and Hagen (Ralf Moller) to ban the gladiators together and defeat the impossible odds. With this victory Maximus has the crowd in the palm of his hands and finally reveals to Commodus that he is in fact still alive. Obsessed with keeping the crowds approval, Commodus deems Maximus worthy to stay alive. Maximus begins to build a plot to fulfill the Emperor’s dying wish. Learning from his former servant Cicero (Tommy Flanagan) that his army is still loyal to him, Maximus works with Commodus’ sister Lucilla (Connie Nielsen) and Senator Gracchus (Derek Jacobi) to overthrown Commodus and turn Rome into a Republic. Every part of this film, from the acting to the locations, can be described in one word: grand. Russell Crowe commands the screen, matched only by Joaquin Phoenix’s earth-shattering performance. The two are both brilliant actors but pitting them against one another makes for some of the most well acted scenes a movie can have. There was a single shot that occurred twice in the film that I thought represented the film perfectly. It is a close up of Maximus’ face. His eyes are closed and it does not look like he is moving but the earth is moving under him. After being betrayed, the world is spinning around Maximus and he is just doing his best to hold on. The films locations brought us from the beautiful Roman countryside to the spectacular sight of the Roman Colosseum. Everything seemed to bigger and grander than the shot before it, leading up to the dramatic and climactic end. 2000 was a great year for films with Chocolat, Crouching Tiger, Hidden Dragon, Erin Brockovich and Traffic all being nominated, Gladiator came out on top. While I loved Crouching Tiger, Hidden Dragon and Traffic, I do agree that Gladiator deserved Best Picture. Russell Crowe took home the Oscar for Best Actor and Joaquin Phoenix was robbed of the award for Best Supporting Actor. 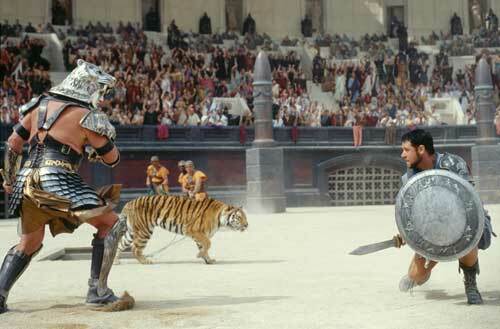 Gladiator also won Best Visual Effects, Best Costume Design and Best Sound. I give this film an A, new rating system information, but will remind you that this is a very violent film but if you can handle the violence it is a must see. The 1971 Oscar Best Picture Winner, The French Connection, was not only based on a book but it was also based on a true story. Taking a look at a narcotics smuggling operation in New York and the detectives that are obsessed with stopping it, the French Connection was an outstanding film. Throughout the film, three main parties surface as the important players. The first and most important group is the detectives working the case, Detective Jimmy “Popeye” Doyle (Gene Hackman) and Detective Buddy Russo (Roy Scheider). The case is not originally given to the two main characters but they go out of their way to investigate and involve themselves. On the other side of the case is the main narcotics smugglers, the man bringing the drugs over from France, Alain Charnier (Fernando Rey) and the men he is in contact with in America, Sal Boca (Tony Lo Bianco) and Weinstock (Harold Gary). The final player is a federal agent named Mulderig (Bill Hickman) who is assigned to the case. Using a naive actor Henri Devereaux (Frederic de Pasquale) and a car he is transporting to the United States, Charnier smuggles the drugs into the country. The film follows a mental game of chess between Charnier and Doyle as Charnier tries to successfully complete his drug deal with Doyle doing everything he can to catch him. In an effort to avoid simply retelling the plot of a film, this paragraph marks the start of my attempt to analyze each film I watch. During the 1970’s, as the French Connection came out, the cinema world saw a revival in cop-films, with the French Connection in the lead. With quick, rough transitions, the film plays out by juxtaposing two extremely different worlds. The films starts with its largest comparison, showing with the gritty, tight streets of New York only to jump to the clean and spacious city of Marseilles. As the main focus of the film moves to just New York the film splits the city in half, juxtaposing the rich Manhattan with Brooklyn, an area flush with junkies and street cops. It is the continued juxtaposition that fuels the film, showing two different worlds collide and interact. Beyond the careful construction and comparison of different worlds while showing how the police fit into each one, the film also has its own well-known chase scene. While Charnier’s man attempts to escape Doyle on an elevated train, Doyle speeds through the streets under the train, trying to keep up to catch the man as he gets off the train. The chase mirrors the feel of the film, long and drawn out with a quick, to the point ending. The long chase, which should have yielded big rewards, is certainly not a failure but does not payout like it should. This idea can sum up the entire film from the beginning all the way up to its famously pessimistic ending. Taking home the 1971 Oscar for Best Picture over A Clockwork Orange, Fiddler on the Roof, the Last Picture Show and Nicholas and Alexandra, The French Connection also won four more awards. Gene Hackman took home a well-deserved Best Actor Oscar with William Friedkin winning for Best Director and Ernest Tidyman taking best screenplay. The film also won for Best Editing. I truly believe that this film deserved to win Best Picture and give it a 9 out of 10. It is gritty and at times depressing but it is also an outstanding film.